Make your days merry and bright with $2K for the Holiday from Infuze Credit Union! Whether it’s for holiday gift giving or travel expenses, you can borrow $2,000 for only $54* per month. Plus, when you apply online during regular business hours, you can have your money as early as today. Call 573.329.3151 if you would prefer to deal directly with an Infuze CU lender. Send us a message, and we'll get it to an Infuze CU lender who can assist you. You’ve got stockings to hang, Christmas presents to buy, and vacations to plan. Our $2K for the Holiday promotion is a fantastic way to meet your holiday needs quickly and easily. Apply today! *APR = Annual Percentage Rate. Loans subject to credit approval. 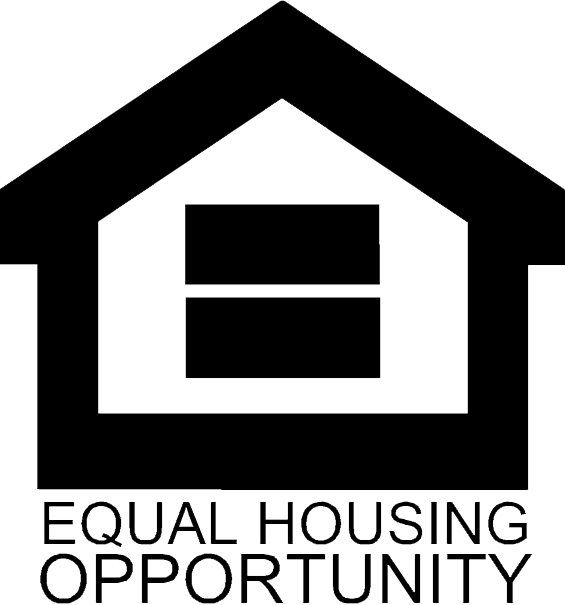 Rates are subject to change based on market conditions and borrower eligibility. 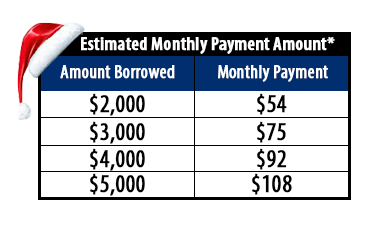 Monthly payment would be $53.94 on $2,000 borrowed for 48 months at 8.74% APR, including all applicable discounts. Monthly payment would be $74.11 on $3,000 borrowed for 54 months at 8.74% APR, including all applicable discounts. Monthly payment would be $91.60 on $4,000 borrowed for 60 months at 8.74% APR, including all applicable discounts. Monthly payment would be $107.18 on $5,000 borrowed for 66 months at 8.74% APR, including all applicable discounts. The payments listed are estimates and include our best rate with applicable discounts. Your monthly payments include principal and interest and may be higher or lower depending on your loan amount, APR, and term. Payment also includes monthly premiums for Payment Protection, which includes Credit Life and Disability Insurance. The minimum repayment term for this offer is 48 months, and the maximum repayment term is 66 months. Repayment terms vary by loan amount, please ask for details. The minimum APR is 8.74% Annual Percentage Rate, and the maximum APR is 15.74% Annual Percentage Rate. Finance Charge Example: If you borrow $4,000 for 60 months at an annual percentage rate of 8.74%, your total of payments would equal $5,495.57 resulting in a finance charge of $988.87. Example includes single credit life insurance at a cost of 0.90 per $1,000. Some restrictions may apply. See credit union for details.